When you own a central air conditioner there will come a time when the unit will need to be serviced, repaired or replaced. Keeping your air conditioner serviced has its advantages because it will drastically cut down on your repair bills and lengthen the life cycle of your air conditioner so that it may not have to be replaced prematurely. 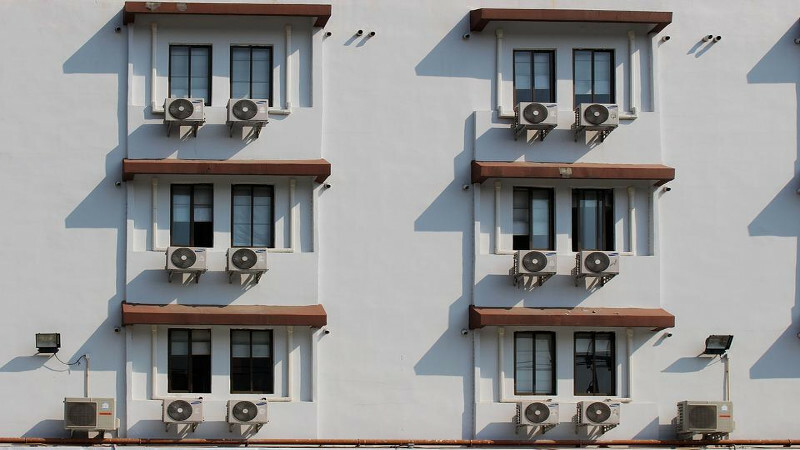 There are many different things that can cause a business or a homeowner to need to have their air conditioner repaired. And when that time comes, you want to make certain that the repairman is a reputable and licensed professional. If you live in the Midwest, you will have no problem fulfilling this criterion when you call on the expert technicians that are accustomed to doing air conditioning repair in Houston,TX. One of the problems you may have with your unit is that the AC air handler is not running or you may be experiencing water leaking from the AC.Air conditioners are known to create a large amount of condensation especially in a climate that is relatively humid. With that being said, the water must be able to escape the air handler—this is most commonly done through a drainage tube or a plastic pipeline.Often times the drain tube goes directly to the outside often dispensing the water somewhere close to the unit’s compressor.Other times you may see that the water is being drained away to an inside floor drain. When water begins to pool or drip at the base of the handler it can be due to a leak from the plastic pipe or there could be a blockage of some sort that is prohibiting the water from flowing.Another issue could be with the pump.And if the condensate pump is not working then the water will begin to overflow. There are some air handlers whose condensate drainage system will have what is called a float switch.If the drainpipe is backed up with water, the switch will shut off the air conditioner.This is a sure indication that its time to clear a blockage that exists somewhere in the condensation pipe. Sometimes people will use a wet vacuum to pull the water from the tubing or they will decide to just replace the tubing itself. It is also a good thing to make certain that ice is not blocking the tubing.If it is, you may need to change your air filters or make certain that your unit’s refrigerant supply is not too low.If it is, your repairman will be able to have your air conditioner recharged. There are times when you may also hear certain noises emitting from your air conditioner.This can be especially concerning because the problem could be very serious.For example, your air handler could be making a squealing or grinding noise or worse yet a clanking noise. When this happens one of the concerns that homeowners may have is trying to isolate the problem.That is because there is a possibility that there could be an issue with the HVAC system. There are two types of air handlers some are belt driven while others will have an air handler that has a direct-drive motor.If you happen to have one that is belt-driven your air handler may make squealing sounds.This could be because the belt has slipped off the handler or is worn and needs to be replaced.If you have a motor-driven handler and you hear the same sound, it is best to shut the unit off and call your repairman. So,if you know that you are having some type of difficulty with your central AC, now is the time for you to call on one of the expert technicians in the city of Houston, TX.